When you buy a high-quality, pre-owned vehicle from Kendall, you purchase it with the peace of mind of knowing it has passed a thorough multi-point safety and mechanical inspection and is covered under our exclusive "Kendall Auto Protection Plan." *Price listed includes a $199 Documentation fee. Price does not include, tax, title, license, registration or state emission fees. While every reasonable effort is made to ensure the accuracy of the vehicle description displayed on this page, dealer makes no warranties, express or implied, with regard to the vehicle or vehicle description. Please verify all vehicle information before entering into a purchase agreement. If the vehicle being purchased is to be financed, the annual percentage rate may be negotiated with the dealer. The dealer may receive a fee or other compensation for processing or arranging financing for the sale. Our multi-point inspection does not guarantee a recall free vehicle. For more information see http://www.nhtsa.gov/. Kendall Audi VW Porsche is honored to present a wonderful example of pure vehicle design... this 2017 Porsche Cayenne Platinum Edition only has 18,922mi on it and could potentially be the vehicle of your dreams! This Porsche Cayenne offers all the comforts of a well-optioned sedan with the utility you demand from an SUV. The Porsche Cayenne Platinum Edition's pristine good looks were combined with the Porsche high standard of excellence in order to make this a unique find. Enjoy the grip and control of AWD performance in this nicely equipped Porsche Cayenne. There are many vehicles on the market but if you are looking for a vehicle that will perform as good as it looks then this Porsche Cayenne Platinum Edition is the one! Thank you for your interest in one of Kendall Audi VW Porsche's online offerings. Please continue for more information regarding this 2018 Porsche Cayenne with 3,457mi. The Porsche Cayenne is the benchmark all other SUVs strive to meet. With exceptional power, towing and handling, this SUV can handle anything thrown at it. Indulge yourself with one of the most highly crafted, most luxurious automobiles available today. When driving an all wheel drive vehicle, such as this Porsche Cayenne , superior acceleration, traction, and control come standard. This is the one. Just what you've been looking for. Kendall Audi VW Porsche is excited to offer this 2018 Porsche Macan. In their original incarnation, SUVs were chiefly owned by folks who valued utility above sport. Not anymore! 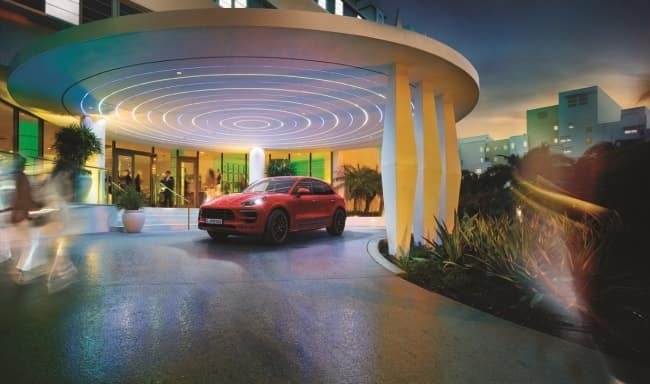 The Porsche Macan GTS redefines the SUV and makes the perfect all around family companion. For those who are ready to drive something more than just a car, this Porsche Macan GTS will appeal to their idea of luxury and refinement. No matter the varying terrain or weather conditions, this all-wheel drive vehicle will help you reach your destination safely and securely in a well-appointed cabin with many features found on cars twice the price. Based on the superb condition of this vehicle, along with the options and color, this Porsche Macan GTS is sure to sell fast. Kendall Audi VW Porsche is excited to offer this 2006 Kia Sorento. With this exceptional SUV, you'll get sport, utility, and comfort. Equipped with 4WD, this Kia Sorento gives you added confidence to tackle the surface of any path you take. A Kia with as few miles as this one is a rare find. This Sorento EX was gently driven and it shows. This is about the time when you're saying it is too good to be true, and let us be the one's to tell you, it is absolutely true. Contact Kendall Audi VW Porsche today for information on dozens of vehicles like this 2009 Nissan Pathfinder S. On almost any road condition, this Nissan Pathfinder S offers solid performance, reliability, and comfort. Handle any terrain with ease thanks to this grippy 4WD. Whether you're on a slick pavement or exploring the back country, you'll be able to do it with confidence. You can finally stop searching... You've found the one you've been looking for. More information about the 2009 Nissan Pathfinder: With a sturdy fully boxed frame and 4-wheel drive, combined with a 4-wheel independent suspension, the 2009 Nissan Pathfinder offers a good combination of serious towing, hauling, and off-roading ability while providing a competent and comfortable ride on-road. And, with the same big V8 as the full-size Armada, the mid-size Pathfinder becomes both quicker and more capable, with towing capacity now up to 7,000 pounds. Interesting features of this model are Well appointed, roomy interior, off-road and towing ability, and V8 power. Kendall Audi VW Porsche is pleased to be currently offering this 2016 Chevrolet Impala Limited (fleet-only) LT with 43,285mi. This is about the time when you're saying it is too good to be true, and let us be the one's to tell you, it is absolutely true. Just what you've been looking for. With quality in mind, this vehicle is the perfect addition to take home. Based on the superb condition of this vehicle, along with the options and color, this Chevrolet Impala Limited (fleet-only) LT is sure to sell fast. The 2016 Chevrolet exterior is finished in a breathtaking Med Gray, while being complemented by such a gorgeous BLACK interior. This color combination is stunning and absolutely beautiful! Kendall Audi VW Porsche has a wide selection of exceptional pre-owned vehicles to choose from, including this 2016 Chevrolet Impala Limited (fleet-only). It's not a misprint. And the odometer isn't broken. This is a very low mileage Chevrolet Impala Limited (fleet-only). A rare find these days. You've found the one you've been looking for. Your dream car. Based on the superb condition of this vehicle, along with the options and color, this Chevrolet Impala Limited (fleet-only) LT is sure to sell fast. Just what you've been looking for. With quality in mind, this vehicle is the perfect addition to take home. 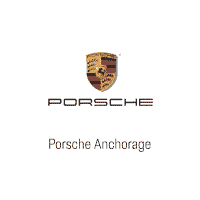 Porsche Anchorage is happy to provide the Anchorage area with a full inventory of quality pre-owned cars, trucks, and SUVs from Porsche and other automakers. Our used car dealership in Anchorage is confident that we have your next pre-owned car within our wide selection of used and Certified Pre-Owned cars. To learn more about these pre-owned vehicles, we encourage you to browse through our online inventories. Pre-owned cars for sale from a reputable dealer? Yeah, that’s us. Porsche Anchorage understands that not everyone is in the market for a new Porsche car. That’s why at our Anchorage Porsche dealership you will find a wide variety of used cars and used SUVs in Anchorage as well. We provide our customers who are looking to make an automotive purchase with many options for a pre-owned Porsche in Anchorage. Furthermore, in our selection of used cars we have an inventory consisting of Certified Pre-Owned Porsche cars. To ensure top quality, our Certified vehicles have gone through several tests and multiple-point inspections. Search Porsche used cars within our inventory and give us a call or contact us online if you have any questions, then stop by our Porsche Anchorage showroom. It’s only a short drive away from local towns Wasilla, Eagle River, and Palmer. While you’re here, apply for an Anchorage auto loan with our Porsche Finance Department. Then find out the value of your current vehicle by filling out our car appraisal form. We would be happy to provide you with a fair car appraisal value for your current vehicle. Get started today by filling out our online car appraisal form. This simple form will provide the true market value of your vehicle and the chance for a no-obligation car appraisal. With enough information, you can then make an informed decision about selling your current used vehicle. Thank you for checking out our selection of quality pre-owned cars, trucks, and SUVs in Anchorage! We look forward to serving you and waving as you drive away from our used car dealership in Anchorage! We can’t wait to see you at Porsche Anchorage.